Aaliyah Rose from Team Blake sings ‘Brass in Pocket’ on The Voice Season 12 Live Playoffs, Monday, April 17, 2017. “Your cuteness level is so crazy. you’r unique and adorable. I love watching you,” said Gwen Stefani. “You are special. Your singing tonight was your best. It’s your best performance,” said Blake Shelton. The Voice Live Playoffs begins tonight with Team Blake and Team Alicia. Half of the artists will move on and half will be sent home at the end of the show. 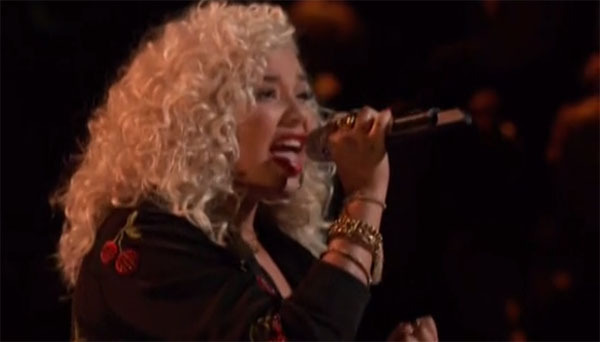 Did you like Aaliyah Rose’s performance? Share your thoughts on the discussion box down below.